We all have heroes in our lives. For me they are those who both excel and whom I have come to know. I don’t think it would be unusual that my greatest hero was my father, or that my brother tops the list as well. Perhaps this is because I have seen each of these men perform in nearly every aspect of life. 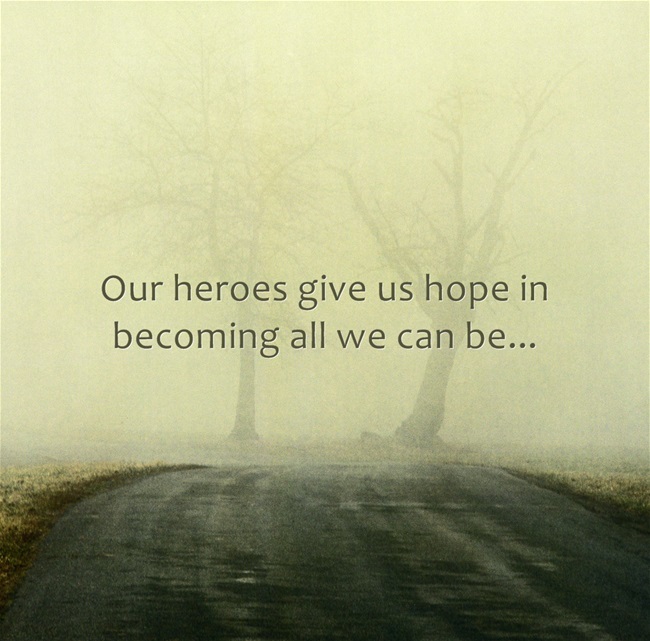 Heroes give us hope; they set a standard which motivates our inner self to do at least the same, if not more. When our heroes achieve at a high level, we find comfort in knowing ideals are possible. A foundation is set which, if used appropriately, propels us to even greater heights. Those I revere have given me courage to live beyond my dreams. If you are fortunate, your list of heroes grows as you become familiar with people along life’s path. Sometimes these new relationships remind us of someone on our current list of heroes. This occurred for me recently. I have become acquainted with a gentleman who mirrors many of the traits I hold in high regard in my brother. This man is Jordan Bangerter, a gentle giant! Jordan is a home builder in the state of Utah. He and I share membership in an association together. Over the last couple months, I have watched Jordan serve his industry actively and willingly. During this time, my interest in his character has grown each time I see him. Yesterday, he took a revered spot of making my hero list by performing beyond what the average man would do. Jordan owns a single lot in a subdivision. Within the subdivision there is a section of eight lots surrounded by roadways. Jordan’s lot is one of the eight, and the only lot without a home currently being built or existing. There is a surface water issue on two lots which are partially affected by two neighboring lots (not Jordan’s). One builder built 5 of the existing homes and two other builders are building the other homes. Jordan, really the only party without responsibility and not currently building, is the only builder who has stepped into action. He has met the neighbors, visited the city engineer, shot the elevation, drawn plans, and solicited a bid for work. This entry was posted in Stories from people I meet and tagged community leaders, example, giants, heroes. Bookmark the permalink.